It was maybe a doomed idea from the start. Imagine sending a Superhero to combat some of Television’s most vicious Sharks, It wasn’t pretty. TasteeBQ had been sent secret instructions from an Earthbound TV website. 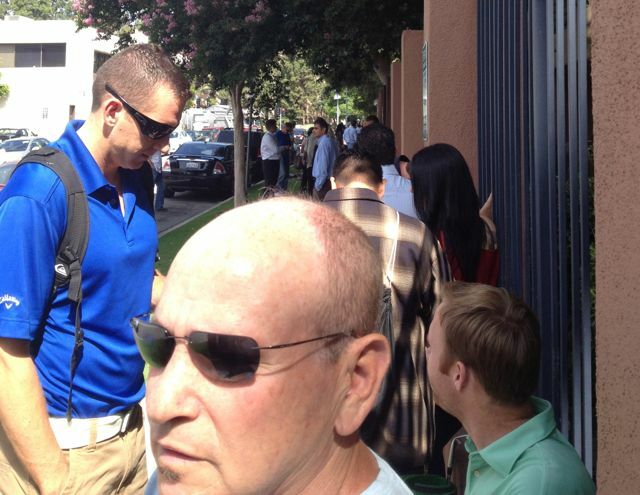 So he arrived at the Burbank Studio area hotel (Not the Hampton Inn)- a full hour ahead of the appointed time. Surely he’d grab a sweet spot in front of the line, reserved for Superheroes. View from back of line. The rest is around the corner. He was shocked to encounter a seemingly endless sea of Mortals. Rather than being shown the Red Carpet, our hero was sheepishly shuffled to the back of the line. Soon, TasteeBQ learned that this was the last day , in the last city, of open public auditions for the hit TV Show “Shark Bait.” The first half mile of attendees looked like a football tailgating encampment. Folding Chairs, Blankets, Coolers…he saw everything except for a BBQ Grill. Perhaps he did see one- but it could have been a Keg. The people in the very front of the herd claimed to have camped out for two days. Our hero was equipped with Oversized Sign and a Bottle of POWER Rub. Call Me Maybe? (Carly Rae Jepson). 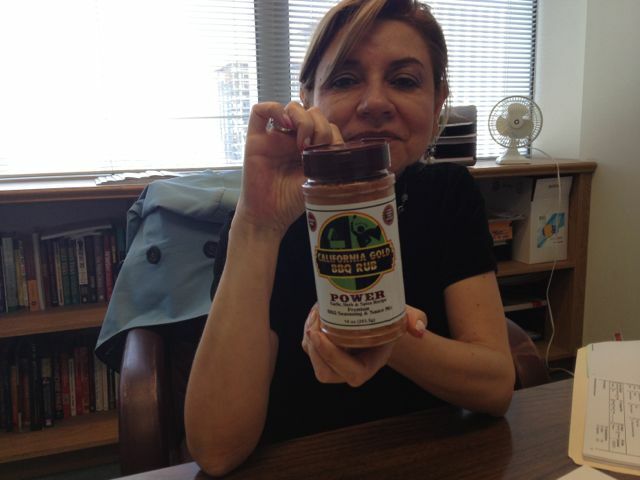 Martha, a Business Advisor from the Pacific Coast Regional Small Business Development Center was among the first to meet POWER. While he’s being nice- TasteeBQ did note that the mini circus was handled aptly and efficiently by the “Shark Bait” production crew. They could only guarantee 500 audition spots. Within half an hour after start time, these pros had already completed the “Bracelet Lottery.” Our Hero was bestowed with the magic number “369”. How could it get more perfect? Ok, it did. The producers assigned all aspiring contestants an appointed time for later in the day. 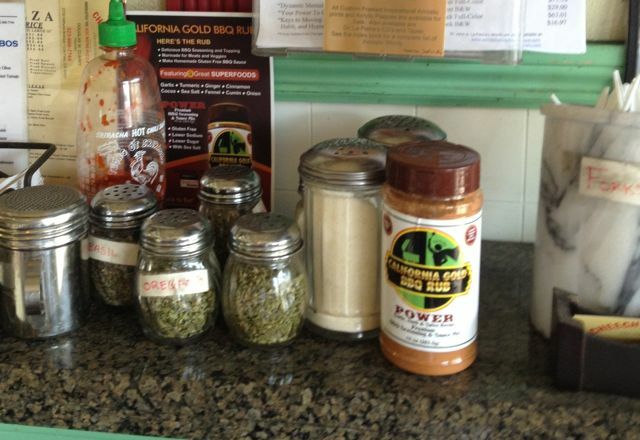 POWER’s public debut was on the condiment shelf at Cheech’s Pizza on Hillhurst Ave. in Los Angeles, CA. The first four bottles were sold while catering a private party at estate in Beverly Hills, CA. on Memorial Day. 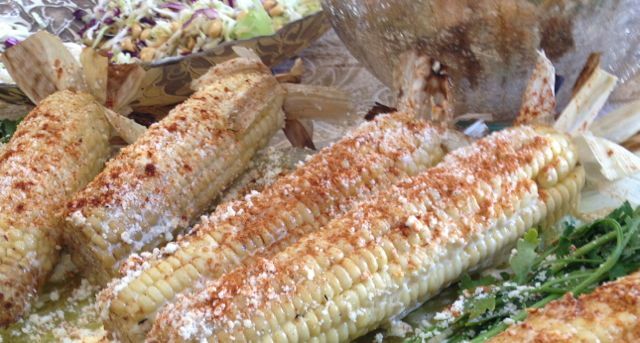 The Memorial Day client requested Grilled Mexican Corn. 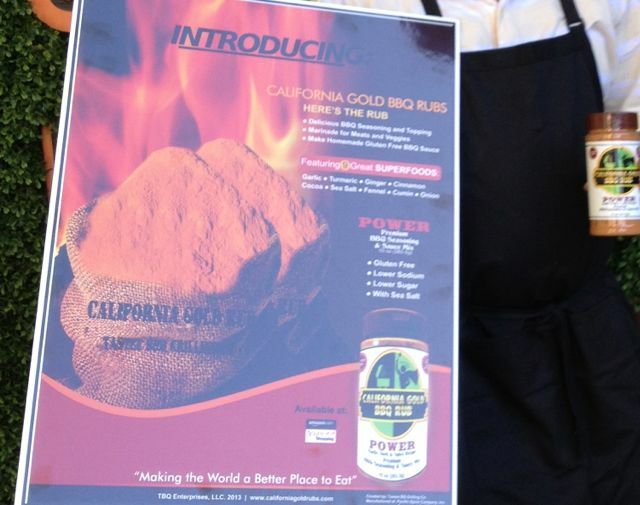 This is this first catered dish served topped with POWER. 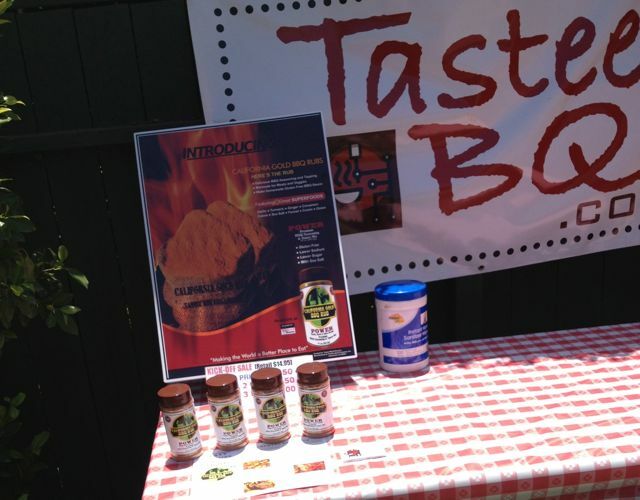 TasteeBQ was invited by the local WorkSource program to demo POWER at a meeting of the Los Angeles Economic Development Collaborative Committee. Well, it seems likely that the public will probably not be seeing the Shark-to-Kitten transformation anytime soon. But the Good News is that if you own or are trying to start a Small Business, you don’t need to leave your future prospects in the jaws of The Sharks. TasteeBQ is being supported in his mission to “Make the World a Better Place to Eat” by some very powerful Allies. They serve Mortals and Superheroes alike. Check out the links below and go for the Gold. The very first retail outlet- Baller True Value Hardware in the Silverlake area of LA, where people can get POWER Rub to go along with their Power Tools. 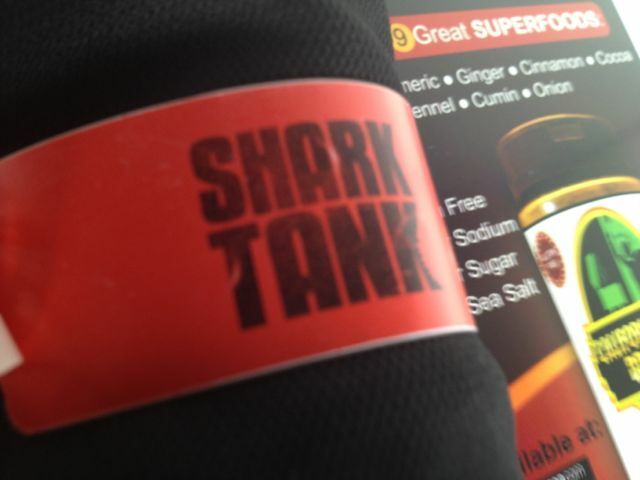 Will TasteeBQ try out for “Shark Bait” again next year? [Will they allow him to get within 500 feet of the Audition?] Time will tell. If next year he shows up with 499 Minions wearing “Shark to Kitten” T-shirts, maybe it will get their attention. Or maybe by then the Sharks will be coming to our Hero seeking money. Anything Could Happen (Ellie Golding). 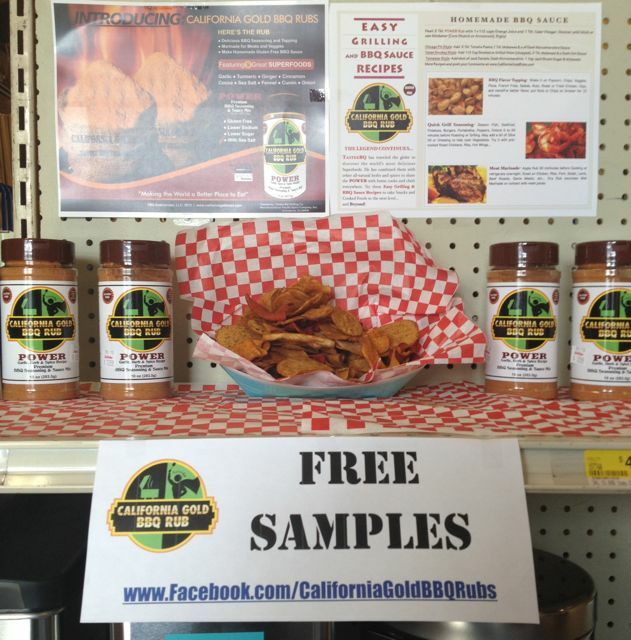 Be part of the story- try TasteeBQ’s new POWER by California Gold BBQ Rubs and take your cooking to the next level… and Beyond! Coming Soon to the Amazon. 4. When cool enough to handle warm Corn, pull back husk (and snip) and generously rub Corn with Butter, then Mayonnaise. Cover it with layer of Cotijo Cheese (roll in it or sprinkle throughly). Enter your zip code to find the centers nearest you. Partially funded by the SBA, this organization provides classes, seminars, loans and individual business counseling. Call and tell them TasteeBQ sent you. 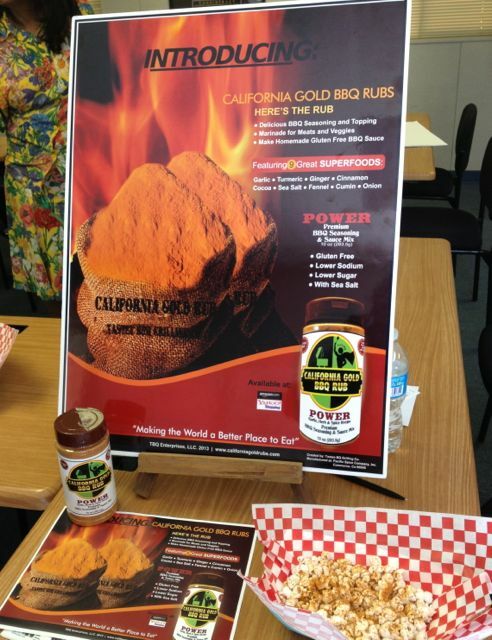 Offers resources and help to those trying to start a Small Business in California. Look for similar programs in other states through your local SBA. This agency has been invaluable for TasteeBQ. WorkSource programs are regional, so use Google to find the agency in your state. They do training for unemployed workers and pair them with businesses. Also offer free training for Small Businesses.